Location: Located in the north end of Shaanxi Province, Yulin joints up the Loess Plateau and the Mu Us Desert. It is neighbor to four provinces of Shanxi, Ningxia, Gansu, Inner Mongolia and Yan'an City in Shaanxi Province. History: As early as the Paleolithic and Neolithic Ages, human beings already lived in Yulin area. Named as Shangjun, it once belonged to Qin State in the Warring States Period, and then one of the 36 shires of the Qin Dynasty (221BC-206BC). In the Eastern Jin Dynasty (317-420), a king of the Huns established Daxia Kingdom and set capital in Tongwan City (today's Jingbian County). In the Tang Dynasty (618-907), Yulin area was divided into three states, which were then combined into two new ones Yulin and Suide. In 1949, Yulin state was liberated under the lead of China's Communist Party. In 2000, Yulin turned into a prefecture-level city from a county-level one. 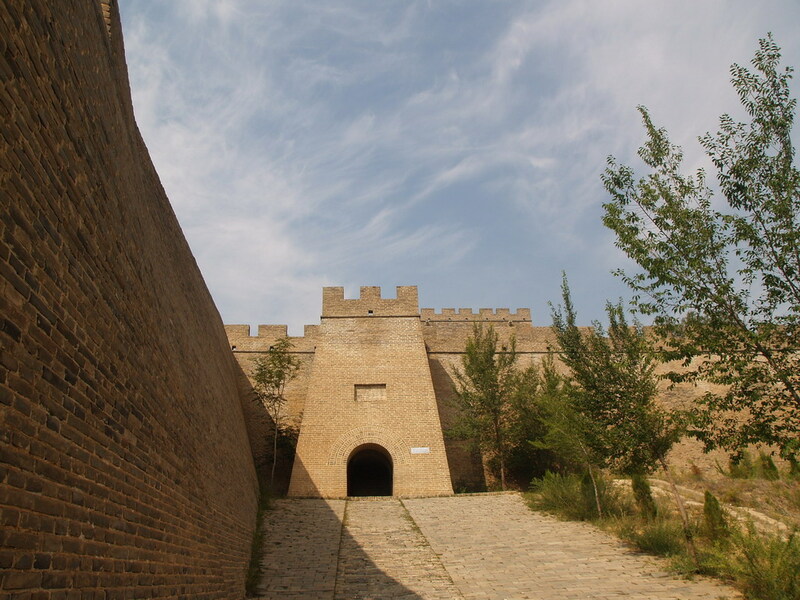 Physical Features: Yulin's area can be divided by the ancient Yulin Great Wall. To its north, it is sand and grass flat. To its south, it is loess hills and ravines. The southwest of Yulin is low mountains and hills, from where many rivers in the city start. Climatic Features: Yulin belongs to the warm and semiarid continental monsoon climate zone. Its average temperature is about 10C (50F). The temperature difference between morning and night is high. Sand storm is frequent in spring and rain is a little more in summer. When to Go: Summer and autumn are the best time to visit Yulin. Please remember to take a coat and an umbrella because of high temperature difference and frequent rainfalls. Local Highlights: Yulin is not only a historical city with long histories, but also the energy supply base of both Shaanxi and the whole China. 48 kinds of natural resources have been discovered there, among which coal, oil and natural gas are the richest. Shenfu Coal Field has been ranked among the eight largest coal fields in the world. The city also has the largest natural gas field of present China. In addition, Yulin has colorful and profound local art culture. Various folk songs (Daoqing, duet sing and dance), Yulin talk and sing, Yulin Yangge (a dance performance) are famous and popular throughout China. Hongjiannao Lake: Located in the north of Yulin, it is the largest inner land fresh lake of Shaanxi and honored as 'Shining Pearl in Sand Sea'. Hongshixia (Red Stone Gorge): Located in the north of Yulin, it is famous for many ancient Chinese calligraphic works carving on the cliffs. Zhen Bei Tai (Pacify-the-north Tower) : Honored as 'the Top Terrace under the Heavy', it is one of the most spectacular architectural works on the Ming Dynasty Great Wall. Li Zicheng's Temporary Palace: Clinging to a high hill, it was established under the order of Li Zicheng. He was a farmer rebellion leader who set up a kingdom in the Ming Dynasty (1368-1644). Tongwan City Site: Tongwan City was the capital city of Daxia Kingdom, which was established by a leader of the Huns in the Eastern Jin Dynasty.